The Whitcomb is a 4-Star Senior Living Community in downtown St. Joseph, Michigan. 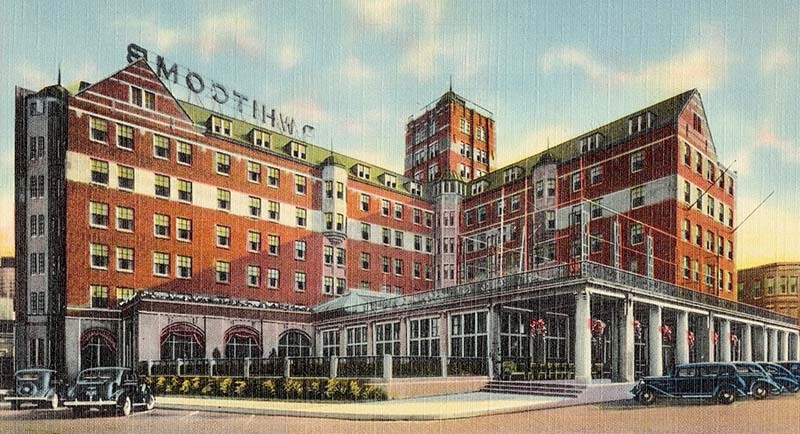 In its early years, The Whitcomb was a favored retreat of presidents, entertainers and professional athletes. Today, it's VIPs are southwest Michigan's most active and vibrant senior adults. 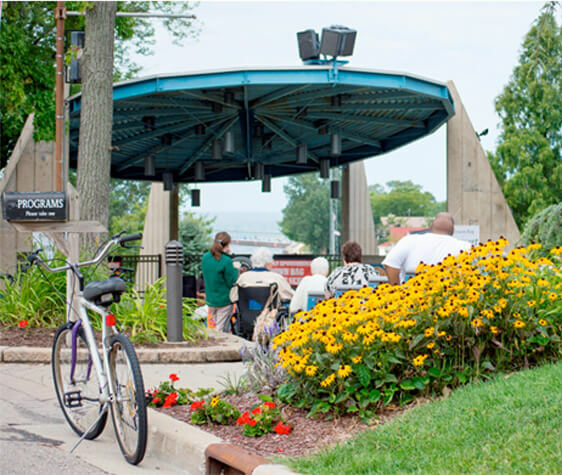 This affodable retirement community sits in the heart of St. Joseph's robust downtown, providing residents with front-row seats to shopping, parks, beaches, parades, concerts, festivals, sunsets on the lake, and more. With apartments starting at just $1050 per month plus meals, it pays to discover The Whitcomb difference. If you or someone you know could benefit from an independent living lifestyle free of yard work, home maintenance, and struggles in the kitchen, we welcome you to tour our senior housing, meet our joyful residents, and see for yourself why the care and service of The Whitcomb has earned it the title "Crown Jewel of the Midwest"! Here at The Whitcomb, there are no "one-size-fits-all" amenities. From the first moment you tour this senior living community, we work with you to design exactly the kind of affordable living experience you are looking for. Away from the burdens of home maintenance, our residents are free to engage in the really important things - such as enjoying life and having fun. The Whitcomb's convenient downtown location promotes an energetic lifestyle and gives active seniors a choice of driving or walking to nearby shops, restaurants, museums, public library, post office, art galleries, and parks. You won't sacrifice independence for the benefits of retirement living. Rev things up a bit! Try an exercise class, work out in our fitness center, line dance, and more. Front Row Seats! From the first summer "brown bag" concert in the John E.N. Howard band shell, to the spectacle of the Tri-State Regatta over Labor Day weekend, there's always plenty to see and do within a safe and easy walking distance. A free motorized "trolley" running daily throughout the summer is perfect for people who like to take life a little easier. Music! Music! Music! From professional musicians on piano and string to artists who sing and encourage others to join in, a medley of entertainment abounds at our Friday Social Hour. Our fun-loving "The Lunch Bunch" enjoys dining out once or twice a month at fine restaurants throughout the area. At The Whitcomb, independent living has so many options available. At The Whitcomb you always have a choice of delicious, professionally prepared entrees from a menu that changes daily. You'll also enjoy the warmth of companionship amid the bounty of southwestern Michigan's fruit and vegetable harvest, delivered fresh to your table. Our onsite food service provider is also the area's top catering company - Country Kitchen Catering LLC. Their philosophy is simple - "serve meals as appealing to the eye as they are to the palate," combining flavor with pleasing texture and melt-in-your-mouth tenderness. Elegant table settings in the Calvin Britain Dining Room, enhanced by the glow from the original crystal chandeliers and an incomparable view, are reminiscent of The Whitcomb's storied past as the Midwest's premier luxury hotel. Whitcomb residents, attended by a courteous and helpful staff, enjoy the ambiance of a by-gone era in fine dining, with a menu tastefully adapted to fit today's healthy lifestyle. For Peace Of Mind...Say "Ahhh"
Since no one knows what the future may bring, our residents enjoy peace of mind, knowing that their needs will be met should they face a health challenge. Our 24-hour professional personal care staff is close at hand should the need arise, and regularly scheduled hearing and blood pressure checks, podiatry visits, eyeglass repair and more are routinely available. Everyone needs a little help now and then; for example, the resident who just had cataract surgery and needs a healthcare professional to check in on them during their first night at home. The Personal Assistance option provides specialized Personal Care services or Personal Care-aide assistance, as contracted by the resident. With this level of care, you can choose a la carte personal assistance as you need it. Residents who need ongoing assistance will appreciate the savings involved in paying one low monthly fee for a variety of nursing services, including delivery of medications. 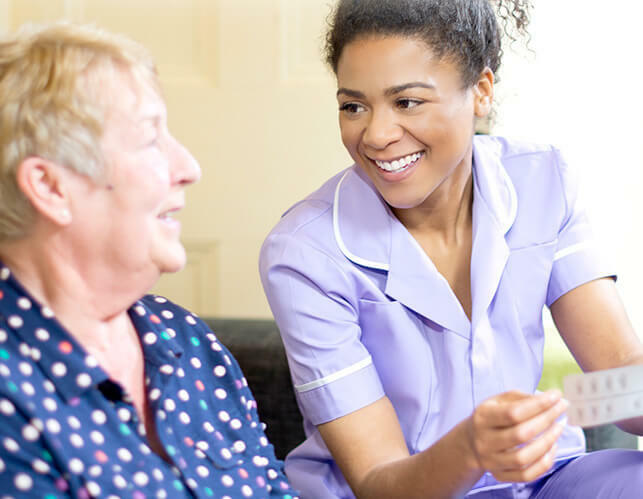 Personal Care aide assistance is also standard for daily essentials, including grooming, dressing and preparing for bed; two baths or more per week; night checks, and transportation to and from anywhere you need to go within the Whitcomb. This level of high-quality care eliminates the "what ifs" of potential personal care needs. Commanding a panoramic view above the Lake Michigan shoreline at the bend of the St. Joseph River, the elegant Whitcomb Hotel was once renowned as the "Saratoga of the Midwest," blending elegance and luxury with healthful activity in pursuit of the good life for all its guests.